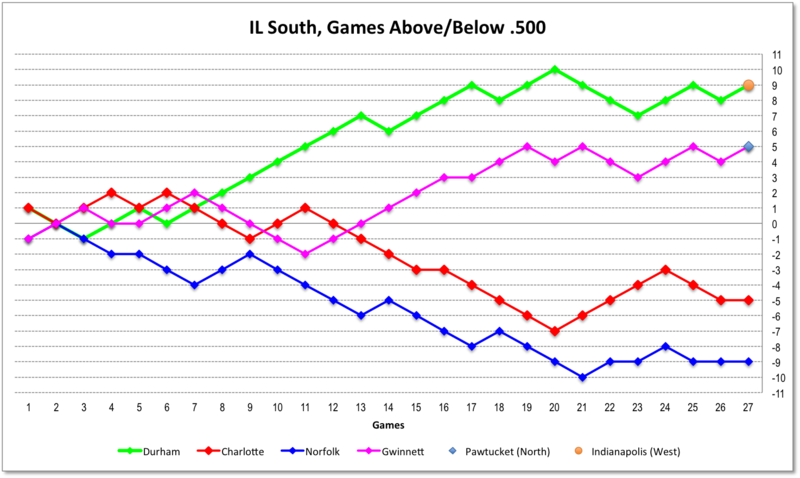 The Bulls remain in the lead in the IL South, 2 games ahead of Gwinnett, but Gwinnett isn’t hanging back. They’ve had good run in recent days. Meanwhile the Bulls are 5 and 5 in their last 10 games. Two points show status of leaders in IL North and West. The pitching (as shown by cumulative ERA) over the last 10 days has seen a slight, steady improvement, helped a bit by the no-hitter and showing a fairly persistent 2 run gap between the starters and relievers. 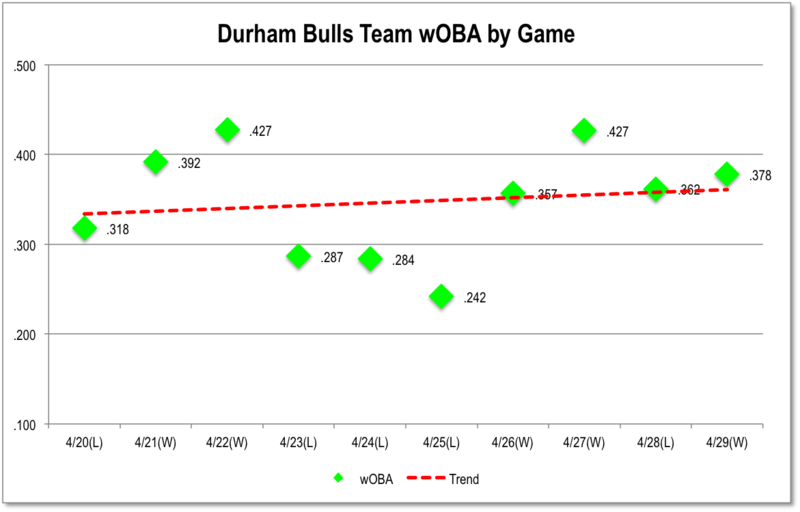 Hitting (game-by-game weighted on base average) has been a bit erratic (although we do have to give opposing pitchers some credit). 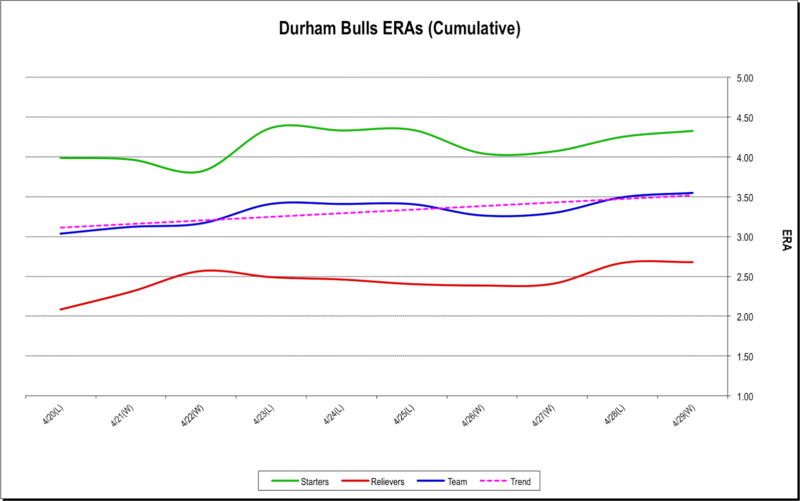 The Bulls team OPS is the best in the International League.